Boston Dynamics/YouTubeBoston Dynamics’ Atlas robot. The robotics company Boston Dynamics on Thursday released a video of one of its robots doing parkour. In the video, the Atlas robot, which is humanoid in appearance, jumps over a log and then hops up a series of platforms. 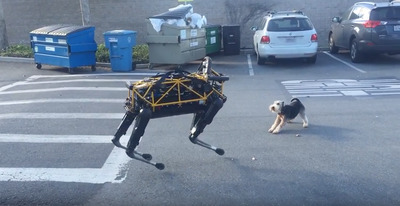 Boston Dynamics is known for creating robots whose movements closely resemble those of humans and animals. They can open doors, go for a jog outside, and even resist being pulled around by human engineers. Now those engineers have given one of their robots the ability to do parkour. Atlas is Boston Dynamics’ humanoid robot. You may have already seen it performing a backflip. 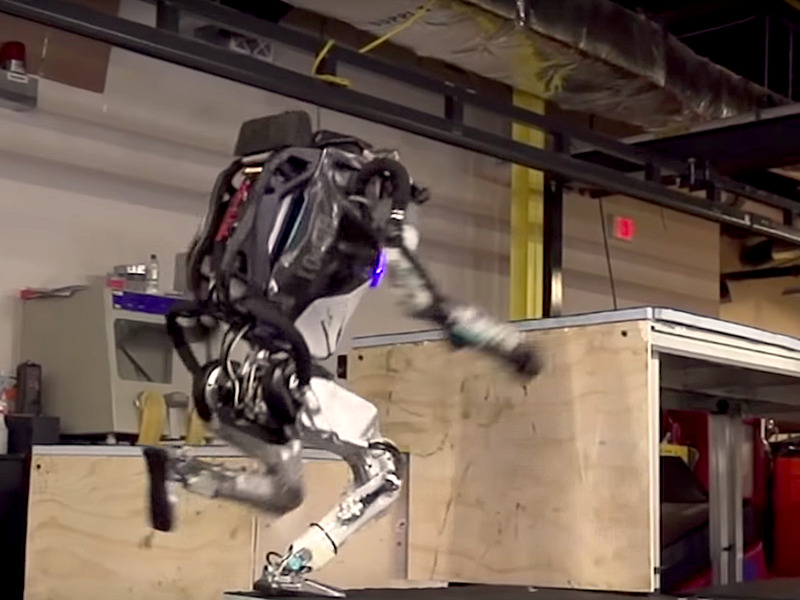 In a video published by Boston Dynamics on Thursday, Atlas runs and jumps over a log – no big deal, as we’ve seen it do this before – then nimbly hops up a series of platforms.